We’d love your help. Let us know what’s wrong with this preview of The Bone Flower Trilogy by T.L. Morganfield. But now her story is told. Born the only legitimate daughter of the king of Culhuacan in the Valley of Mexico, Quetzalpetlatl was destined to be the obedient wife of the future king. But when her Who is Quetzalpetlatl? To ask other readers questions about The Bone Flower Trilogy, please sign up. Going into these books, I was fully aware of the subject matter. However, I admit that the ending annoyed me more than a little bit. I spent much of the third book wondering where a particular character was, and to have the main character end up with someone I highly disagreed with was...admittedly a bit frustrating. T. L. Morganfield lives in Colorado with her husband and children. She's an alumna of the Clarion West Workshop and she graduated from Metropolitan State University with dual degrees in English and History. 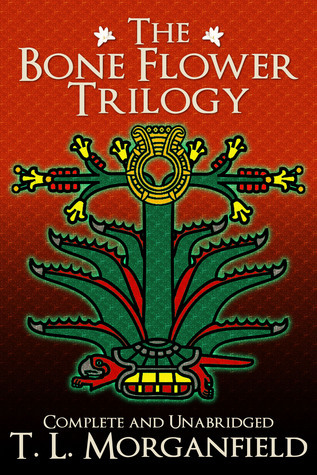 She reads and writes way too much about Aztec history and mythology, but it keeps her muse happy, which makes for a happy writer, so she has no plans of changing her ways.